Join Marvi Matos on Wednesday, April 4, for the 2018 Global Marathon closing session. 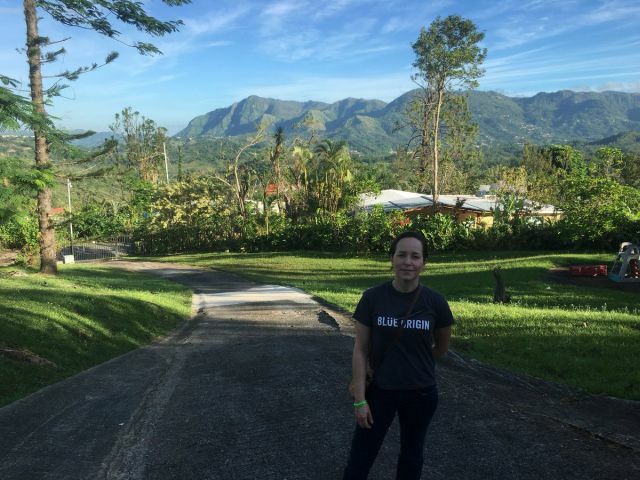 Marvi will lead a discussion on the incredible work done by engineering volunteers in Puerto Rico in the aftermath of Hurricane Maria. Global Marathon’s “A Day in the Life of Engineers: Making Global Impact” session coincides with DiscoverE’s Global Day of the Engineer, the worldwide event that recognizes and celebrates engineers and their global impact. Marvi is the 2018 Global Marathon Chair. A chemical engineer, with a Bachelor of Science from the University of Puerto Rico, she also earned a Ph.D. from Carnegie Mellon University. “The Global Marathon is a one-of-a-kind series of online conversations that inspires, renews and unites engineers from around the world,” said Marvi. Each Wednesday (March 7-April 4) at 12 p.m. ET, an accomplished group of panelists from around the globe has addressed a relevant topic to unite, inspire, and champion women pursuing an education or career in engineering and technology. As an early-career scientist, Marvi worked at the National Institute of Standards and Technology (NIST), before serving as a lecturer in chemical engineering and a senior research scientist in bioengineering at the University of Washington. She also worked as an independent consultant in engineering innovations and intellectual property development prior to working in the aerospace industry. At the Boeing Company, Marvi started working as engineer and scientist, formulating materials for aerospace applications. She later served as the lead engineer, manufacturing engineering manager, manager in an international special assignment and director of chemical technologies, metals, and ceramics. Today, Marvi works as product group lead for the materials and processes team at Blue Origin, LLC, a privately funded aerospace manufacturer, and spaceflight services company set up by Amazon founder Jeff Bezos. Matos is a wife and a mother. In her free time, she volunteers and blogs to inspire young women to pursue careers in science, technology, engineering, and math (STEM). Register here to attend the April 4 session.